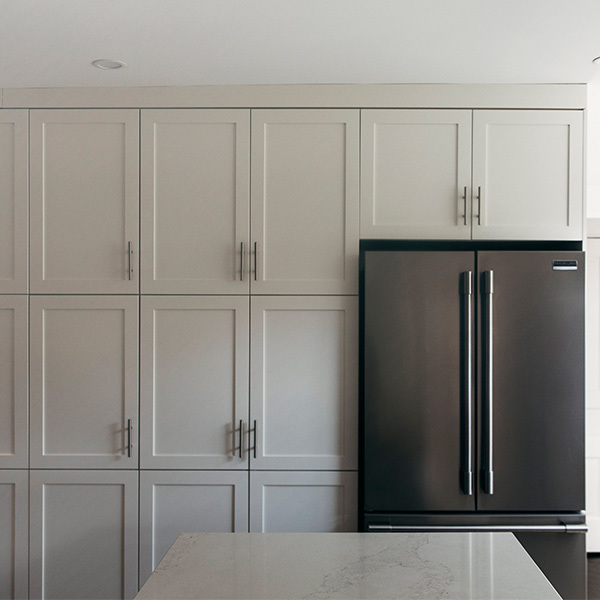 Before this family moved into their new home in West-end Halifax, they wanted to update and upgrade the space to match their sophisticated fun style. The entire home was renovated – from floor to ceiling. On the main floor, walls were reconfigured to let natural light shine throughout. 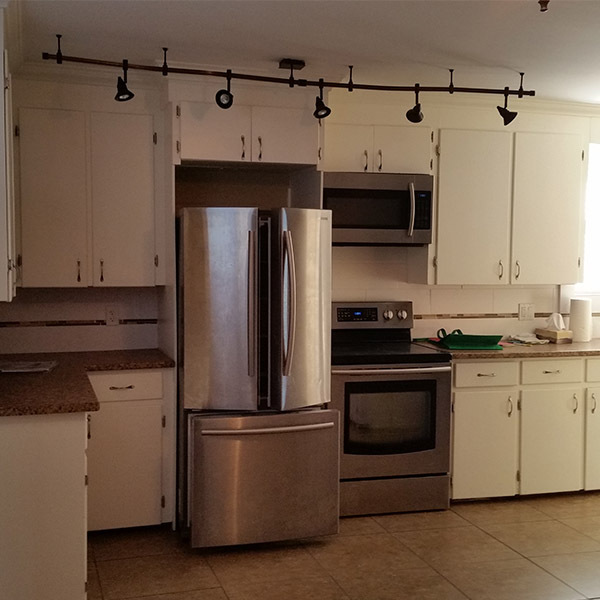 The kitchen was completely remodeled and designed to be streamlined, open and accessible for the young family. The space includes a full pantry wall with roll-out shelves and tray dividers. 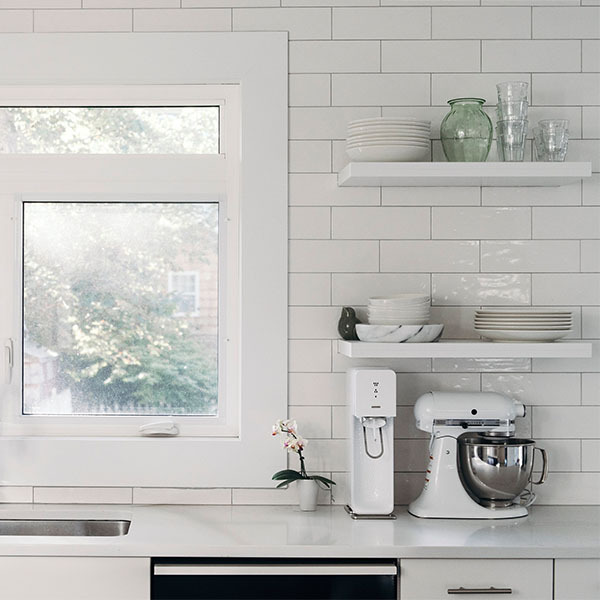 Floating, open upper shelves let them display their beautiful dishware and keep the space open and airy. The oversized island with contrasting dark “Inkwell” cabinets anchors the room. Ceasarstone Calcatta Nuvo white marble countertops blend with the modern stainless steel undermount sink and pull-down chrome spray sink faucet. 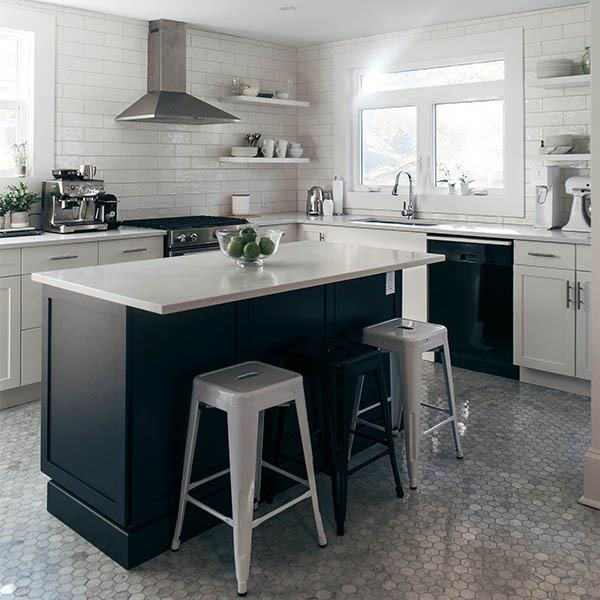 Simple white subway tiles were used for the backsplash to keep the lines simple and clean. 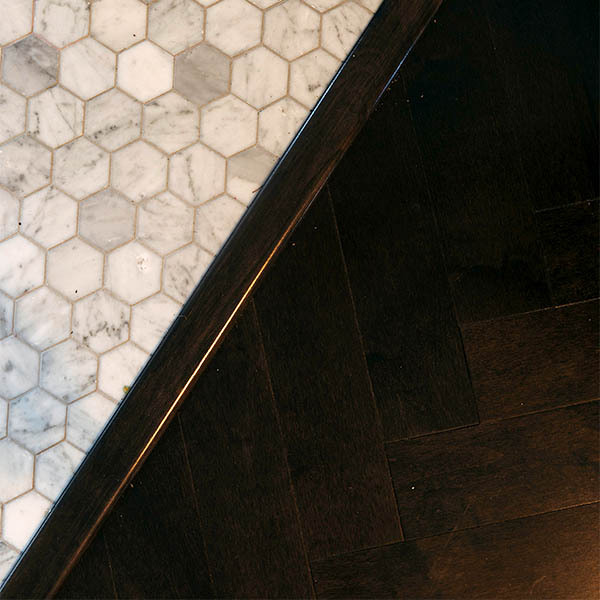 Carrara marble floor tiles add natural texture and elegance to the space while the hexagon shape gives it a modern twist. They blend seamlessly with the show-stopping herringbone hardwood flooring on the rest of the main level. 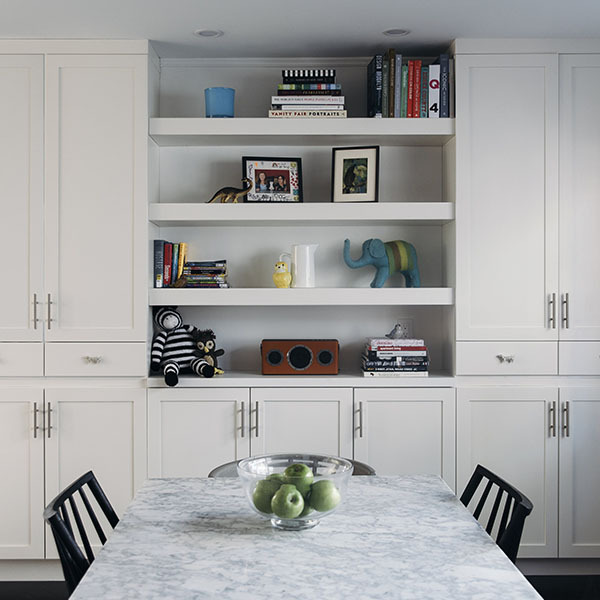 The dining room was opened up and given built-in storage unit with open shelving to display important family items. Tucked in the back of the home is the new mudroom/laundry space. 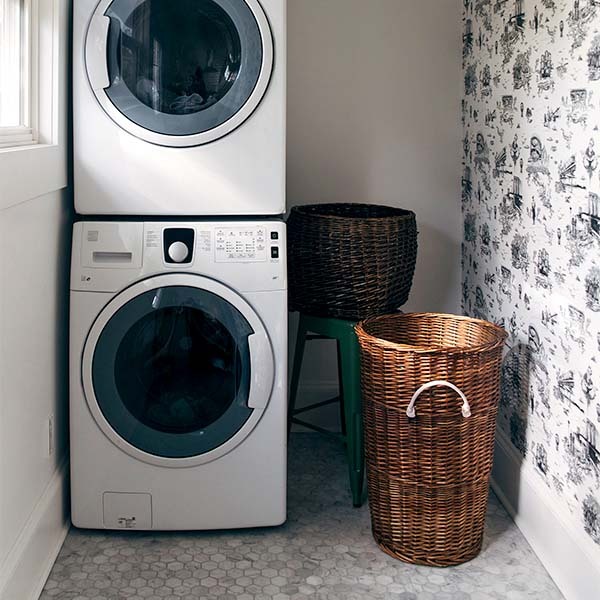 New energy efficient stacked washer and dryer sit alongside the unique “Brooklyn Toile” wallpaper which pays tribute to all things Brooklyn. It appears to be traditional French Country Toile but includes scenes of subways, pigeons, Coney Island, and a bust of Notorious B.I.G.! This young family couldn’t be happier with the transformation and were very excited to move in to their new home. Click here to see the transformation to the new front entrance and foyer area.